2: They Say (4:35) Rating: 5 Lyrics by: MX Skroch Record date: 09/11/2010 DDD digital multitrack recording by MX Skroch Copyright © 2010 The Sheep Fiends Foundation. 3: Paranoia In Four Part Harmony (4:25) Rating: 5 Lyrics by: Sid Prise Record date: 09/11/2010 DDD digital multitrack recording by Brian McNally Copyright © 2010 The Sheep Fiends Foundation. 4: This Is A Song (1:39) Rating: 2 Lyrics by: Matthew Cramer Record date: 09/11/2010 DDD digital multitrack recording by MX Skroch Copyright © 2010 The Sheep Fiends Foundation. 5: Numerolostrology (3:49) Rating: 5 Lyrics by: MX Skroch Record date: 09/11/2010 DDD digital multitrack recording by Brian McNally Copyright © 2010 The Sheep Fiends Foundation. 6: Ghost Of 9/11 (2:10) Rating: 3 Record date: 09/11/2010 DDD digital multitrack recording by MX Skroch Copyright © 2010 The Sheep Fiends Foundation. 7: Stan The Shirker (Slight Return) (9:11) Rating: 4 Lyrics by: Matthew Cramer Record date: 09/11/2010 DDD digital multitrack recording by Brian McNally Copyright © 2010 The Sheep Fiends Foundation. 8: Opera House (2:34) Rating: 2 Lyrics by: MX Skroch Record date: 09/11/2010 DDD digital multitrack recording by MX Skroch Copyright © 2010 The Sheep Fiends Foundation. 9: Sweet Jane (3:40) Rating: 4 Copyright: © The Velvet Underground Lyrics by: The Velvet Underground Record date: 09/11/2010 DDD digital multitrack recording by Brian McNally Copyright © 2010 The Sheep Fiends Foundation. MX Skroch - "Ahh, Ahh, Ahh", "How Y'all Feelin' Tonight? ", "We could lie down, we could sleep, we could go insane and creep and creep and creep and creep and creep". Matthew Cramer - "Bon Jour...etc...", "I can hear the drum machine no problem", "lose the drum machine", "the f**king drum machine", "Cameron, turn off the drum machine", "Oh, ho, hey", "it was crazy man, crazy". Jose - ""Ha ha ha", "I could do some flamenco though...ayyyyyy!" "Ha ha ha ha...". Brian McNally - "Hey, hey Brian, could you turn your drum machine down just a little bit? It's actually cracklin' my headphones!" 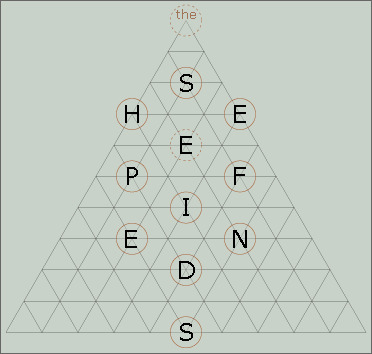 11: Slingin' The Beans (4:34) Rating: 3 Lyrics by: Matthew Cramer Record date: 09/11/2010 DDD digital multitrack recording by MX Skroch Copyright © 2010 The Sheep Fiends Foundation.